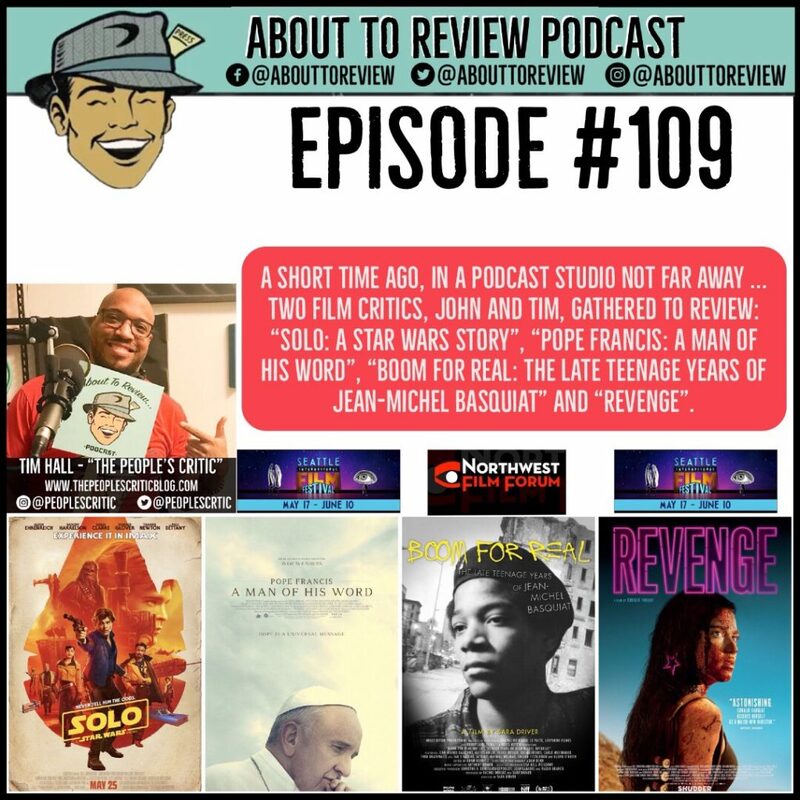 A short time ago, in a podcast studio not very far away … two of Seattle’s film critics, “That Guy Named John” and Tim Hall, “The People’s Critic” got together and reviewed several current movies! “SOLO: A Star Wars Story”, “Pope Francis: A man of his word”, “Boom For Real: The Late Teenage Years of Jean-Michel Basquiat”, and “Revenge”. A harrowing space adventure in theaters soon, two documentaries making their festival runs, and one bloody, brutal revenge film on VOD now, round out the reviews included in this episode. Follow the “Seattle International Film Festival” (SIFF) for the most up do date information on their screenings. 56m:00s – 1h:02m: Discussion, review, and rating of “Boom For Real: That Late Teenage Years of Jean-Michel Basquiat” (IMDB.com/BoomforReal) which was played at the Seattle Art Museum in collaboration with the Northwest Film Forum. Thank you so much to Tim Hall for coming by the studio and recording this episode! Make sure to listen and subscribe to their podcast “Made in the 80’s” which is linked below!